Have you been working too hard, tired of the old everyday humdrum-work affairs of this world? I have some exciting news for you. Indulge your inner world, and rev up your senses with an exotic spa treatment in the comfort of your own home. In the past, a spa was a place where people gathered to relax and rejuvenate in mineral-rich spring or salt waters for their curative properties. Now you can do the same thing in your own home. Going to the spa is good for both the body and mind, but it’s often hard to find the time and money to get there. Luckily, there is a way to enjoy a sensual spa treatment – and for a lot less. 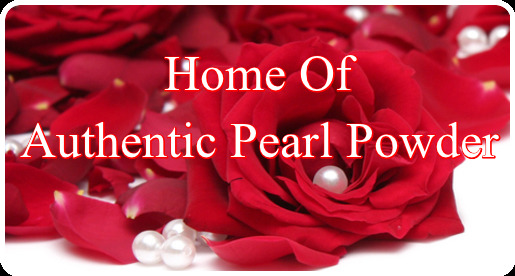 A Luxurious vitamin-rich Pearl Powder Spa Treatment will save you hundreds of dollars, and will arouse your senses, soothe, and energize your inner being, and leave your Skin Feeling & Looking Magnificent. 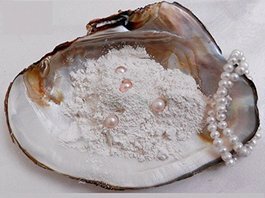 Pearl Powder contains 31% Calcium, 56% Protein,18 amino acids, 9 kinds of protein amino acids, Vitamins A, B6, B12, C,D, Calcium, Iron, Zinc, Antioxidants, and Potassium and other microelements. It also contains nonprotein acid---taurine, which aids in skin fatigue. All these nutrients absorb into the deepest part of the epidermis, healing, treating and leaves your skin senuously soft and energized. A spa treatment is non-medical procedure to help the health of the mind and body. It is often performed at a spa, resort or beauty salon and now you can have the same luxurious spa treatement in the comforts of your own home. Benefits include skin regeneration, diminishes sunspots, exfoliates away dull flaky skin, leaving skin soft, super silky, brighter and healthier. Pearl Powder Spa Treatment slows the aging process, reduces wrinkles and pores, softens skin around the elbows and knees, and leaves skin with an pearlescent glow. 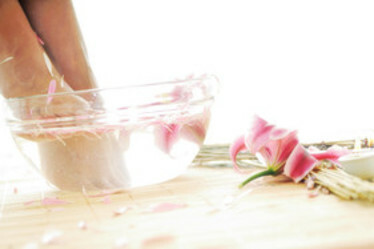 Put 1 tsp Pearl Powder into warm bath water with your favorite fragrance and Soak, Soak Soak. About 15 minuets. 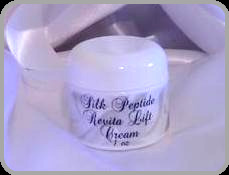 Dry slightly off and apply Silk Peptide Revita Lift Cream all over your body. 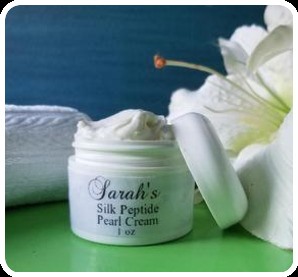 Formulated with REAL silk to impart slip and glide sheen and suppleness to the skin. 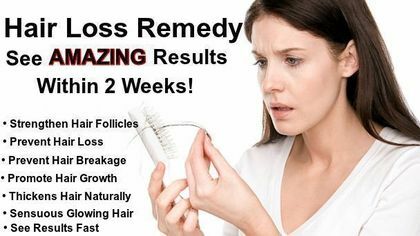 The result is healthy, silky, satiny, soft skin. You will feel as if you just spent the day in a mineral rich spa in an exotic paradise. Good for use on all the body's skin. 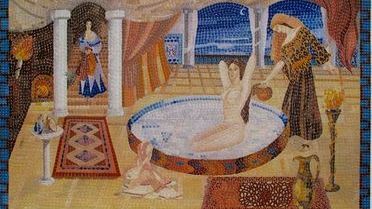 Cleopatra the last Queen of Egypt bathed in milk, honey and Pearl Powder. This is a fantastic way to get silky, soft, supple skin – all over your body. The lactic acid in milk is very exfoliating, the vitamins and minerals in pearl powder are exorbitant, and honey is softening, moisturizing, and all-around beautifying. The key is to use full-fat milk, cream, (or powdered milk), pure honey and pearl powder. Full-fat milk and pearl powder will not only exfoliate the skin, but it will also moisturize. Pour 1-2 cups of milk (or 1/2 c. full-fat powdered milk), 1/2 tsp pure finely milled pearl powder, and 1/2 c. honey under running, warm water. Swish around to mix, and hop in. Then picture yourself on a tropical island sipping a Margeretta. Or better yet, make yourself one. This spa bath is fit for a queen. Add 1- 2 Tbsp Pearl Powder to enough water to make a thin paste, mix well. Apply to the surface of the body, including face and feet. Leave for on 15 minuets. Wash off and dry thoroughly. Applied on the entire body, improves blood circulation, cleanses the skin, detoxifies and purifies, infuses with vitamins and minerals and helps restore saggy, loose skin. This simple and affordable at-home spa treatment is a convenient way to unwind, relax and enjoy the luxurious things in life without having to spend a lot of money or leave the house. You will feel like you just spent the day in a mineral-rich spring or in the deep sea ocean, in an exotic paradise. Treat yourself like royalty and pamper yourself with a Soothing At-Home Pearl Powder Spa Treatment. Go ahead and arouse your senses, and soothe, and energize your inner and outer being today! 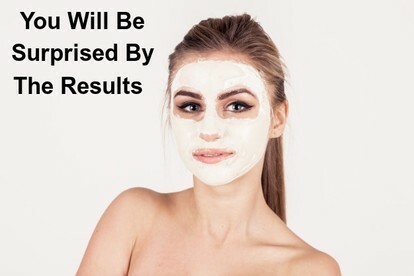 Keep in mind, it’s more about your entire lifestyle and what you do on a daily basis that will help you achieve that healthy, beautiful skin and body. Get a taste of the world's most exotic spa treatment and titillate your sensitivities today. Spa Treatments Help Cancer Patients! From facials to body massages to foot baths, spa treatments are the perfect gift to give your loved one who is suffering from cancer or chemotherapy treatments. Our At-Home Pearl Powder Spa Treatment will Soothe, Treat, Heal, and Rejuvenate. This is exactly what they need to sooth their weary soul. A Pearl Powder Bath and a message with Silk Peptide Revita Lift Cream will be enjoyable, deeply relaxing, and rejuvenating. Combining these two miracle superfoods together, you can diminish wrinkles and aging skin. Guava leaves contain antioxidants which destroy the free radicals that damage your skin, thus protecting your skin from aging as well as improving skin tone and texture. 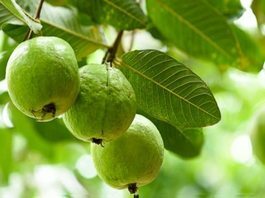 A decoction (boiled leaves) of mature guava leaves can be applied on the skin for tightening it. Boil leaves until water turns brown and looks concentrated, then let cool. Add 1/2 tsp pearl powder, mix. Apply to your face and let sit for 15 minuets, then wash your face with lukewarm water. Repeat twice a week.